New York has one, Los Angeles has one and now Copenhagen has one - an intimate magic show. 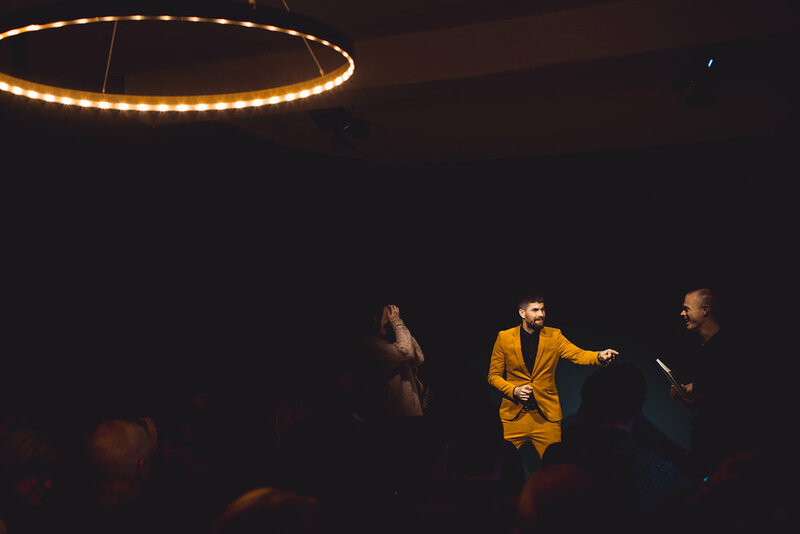 The Magic Room is a modern intimate magic show at a prime location in Copenhagen. Through a distorted reality field magician Magic Malmstrøm will make you question what is really possible. Expect the unexpected, expect to laugh, cry and wonder. Experience teleportation, mind-reading and stunning magic that for sure will give you something to talk about. With exclusively 25 seats available The Magic Room is an intimate experience showcasing the art of magic. In a beautiful setting just across The Danish Royal Castle, Rosenborg Slot, The Magic Room is the perfect way to start your evening in the City of Copenhagen. Now you can experience his magic show live at The Magic Room.